Elizabeth was a wonderful, captivating speaker. We had the largest crowd we've ever had. I appreciate working with Premiere. You are an excellent customer-oriented business. Thanks for all of your help. SHE WAS AMAZING. The gushing from the attendees never ended, there was a standing ovation, and we were all moved to tears. We were incredibly lucky to have her there today to help reinforce the message of our agency. Elizabeth Smart was outstanding! One of our best speakers and delightful to work with. It was an absolutely amazing event!!! 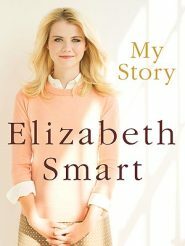 Thank you, Elizabeth Smart. Every single person that attended the luncheon said Elizabeth was AMAZING! Spellbinding, captivating, precious, poised, adorable--are just a few adjectives that were passed along to me to describe Elizabeth. Ms. Smart's voice was an outstanding way to end the event. Our participants, which included many survivors of child sexual abuse, truly appreciate her willingness to be a spokesperson for all who have been victims and may not be ready to speak out.